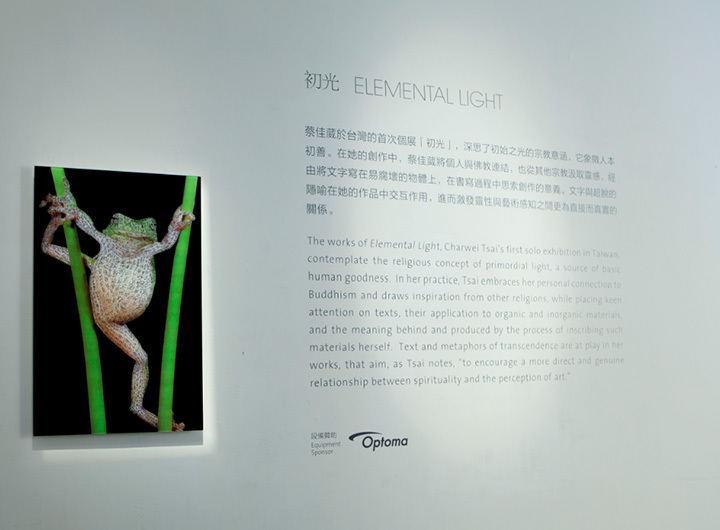 Press Release: TKG+ is pleased to announce Charwei Tsai’s first solo exhibition in Taiwan, Elemental Light, which will be on view at our Neihu venue from August 13 to September 11, 2011. 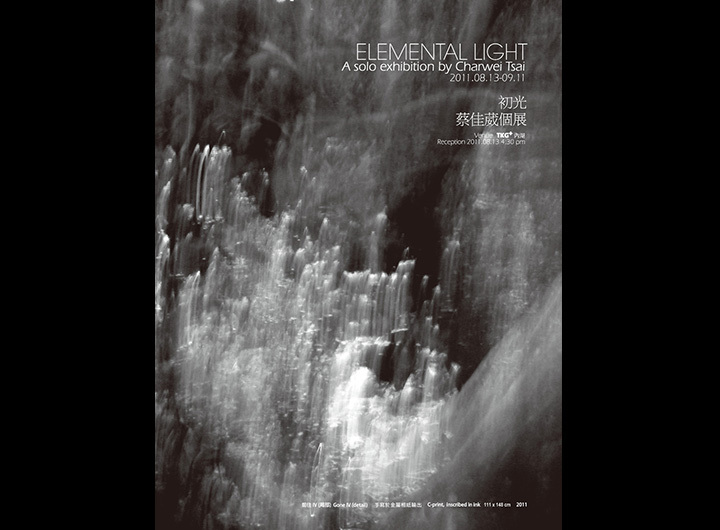 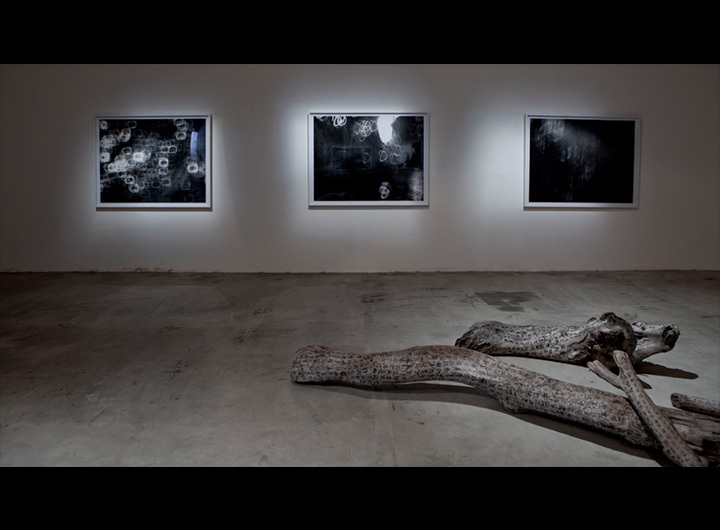 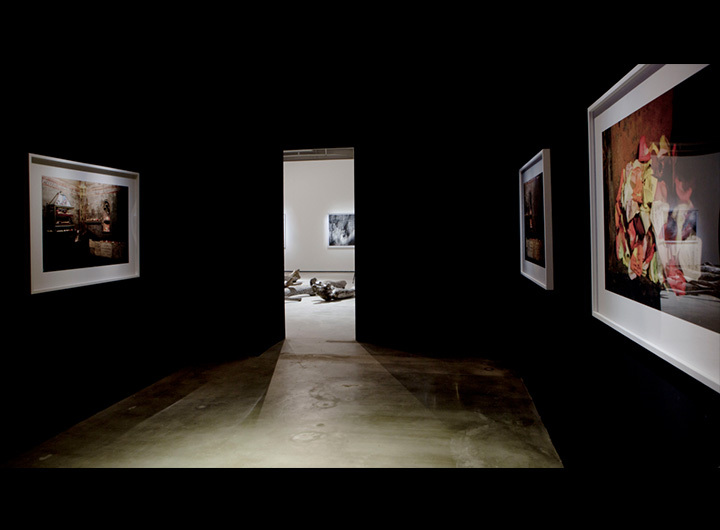 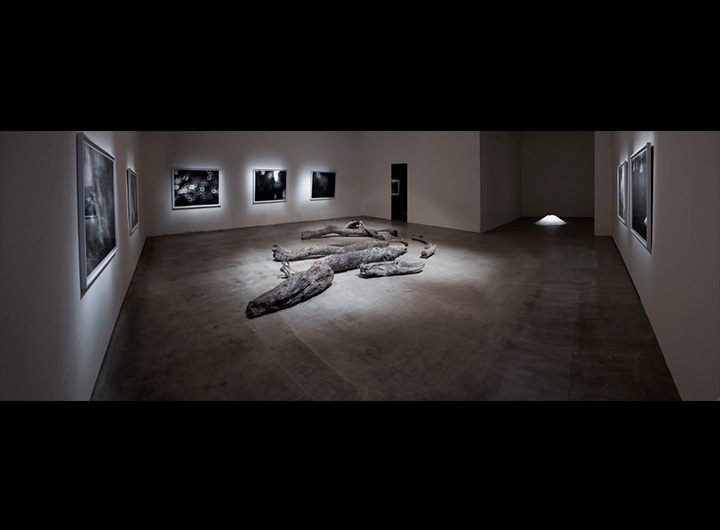 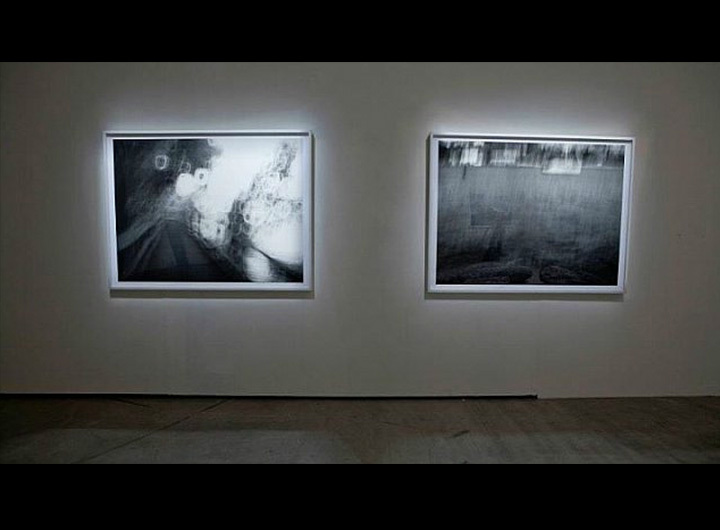 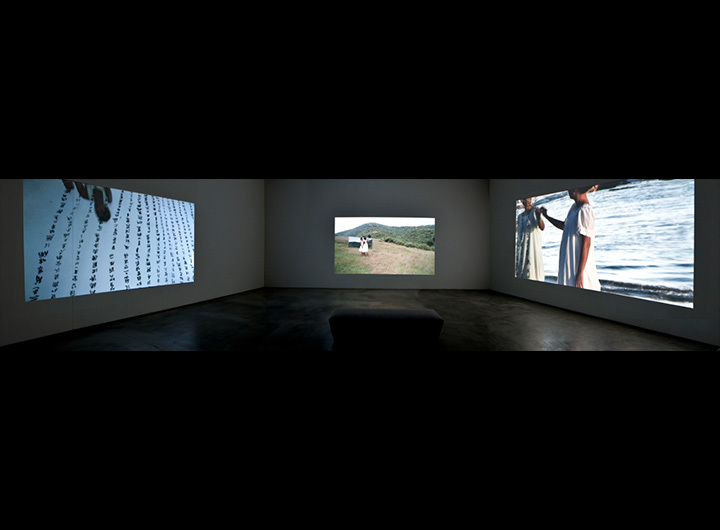 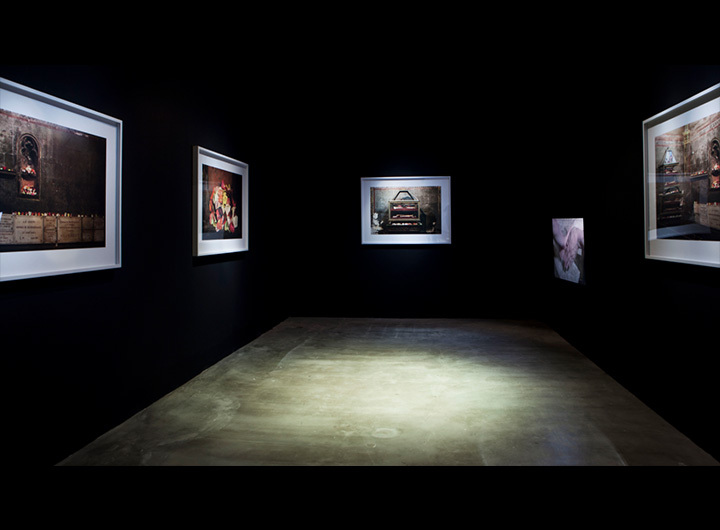 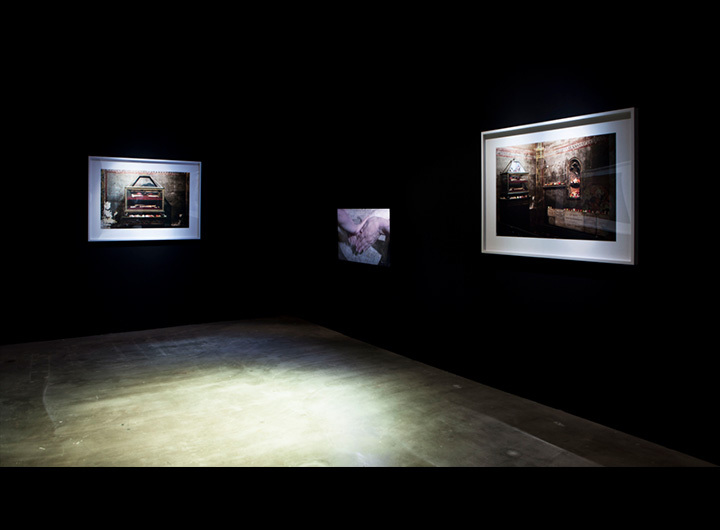 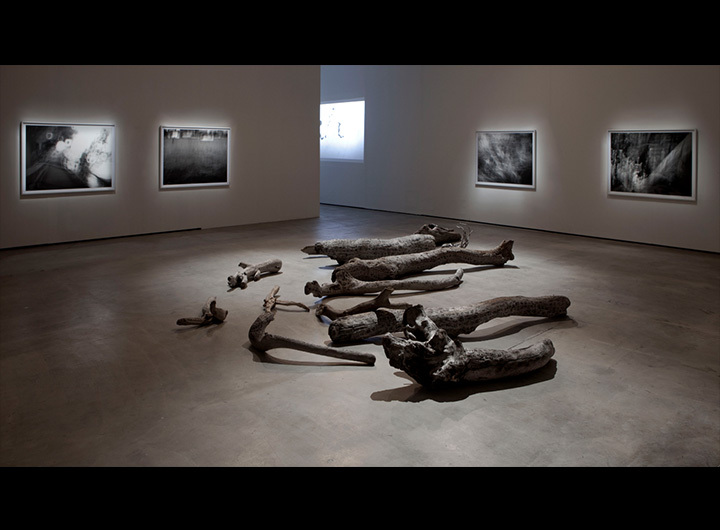 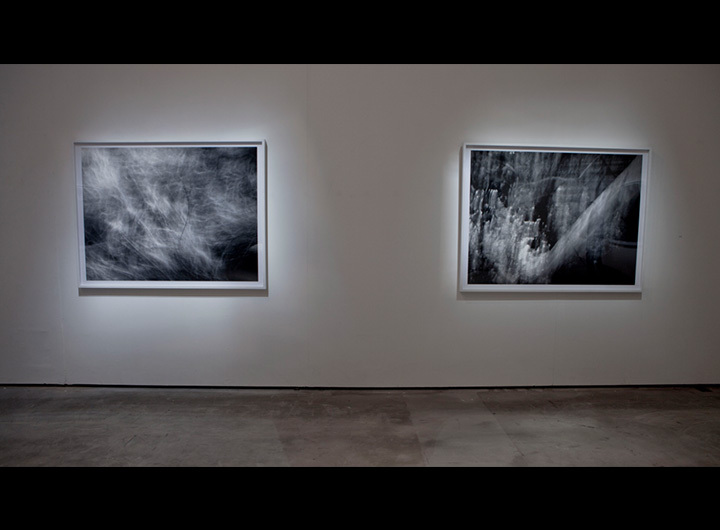 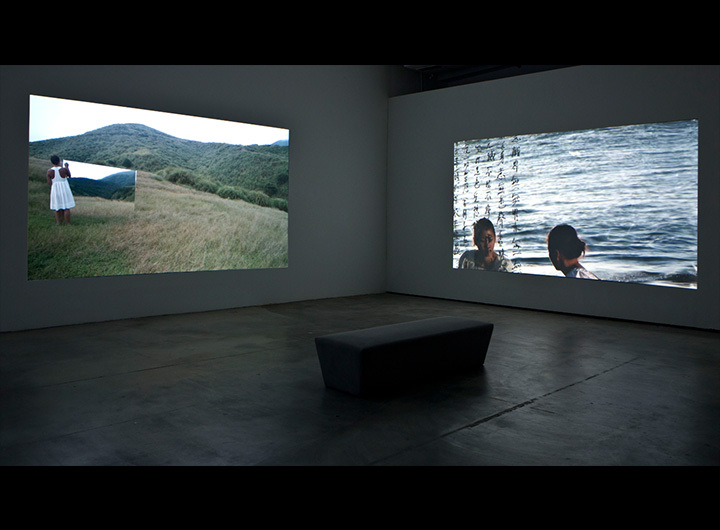 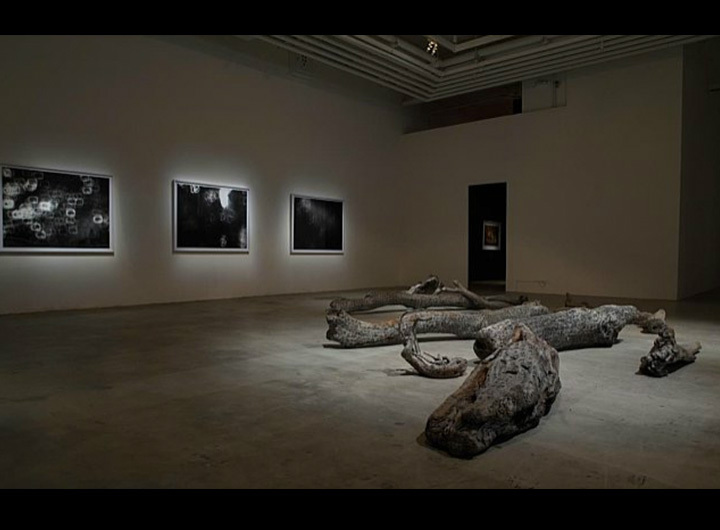 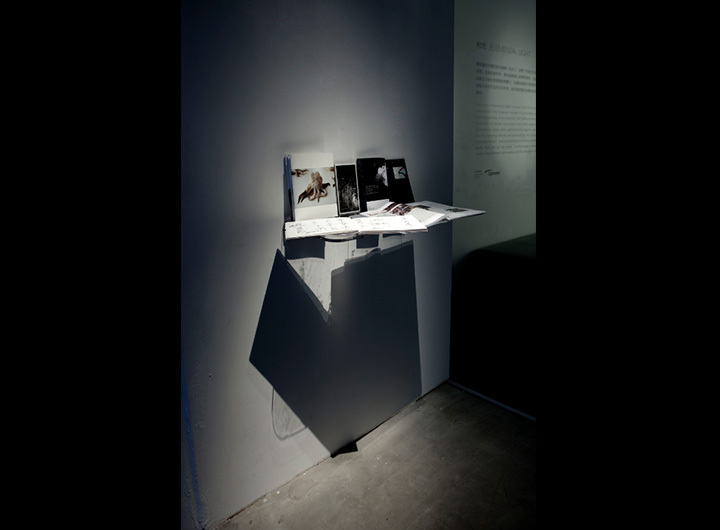 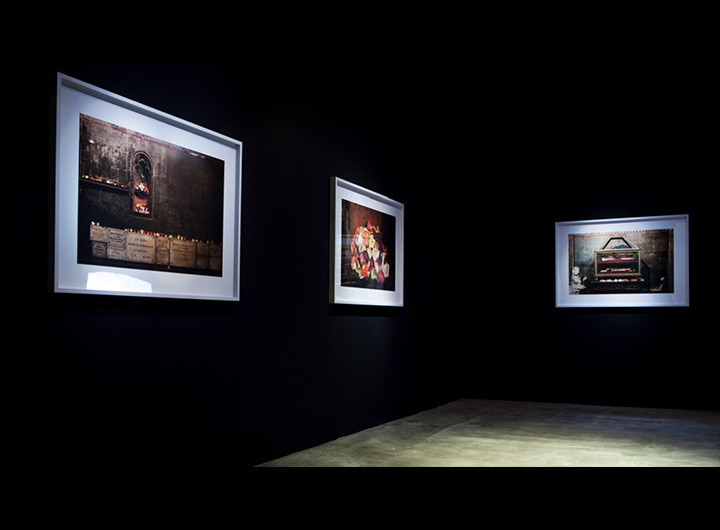 From Tsai’s earliest works embracing her personal connection to Buddhism, to her recent pieces, which draw inspiration from other religions, the photographs, videos, and multi-media installations of Elemental Light contemplate the religious concept of primordial light, a source of basic human goodness. 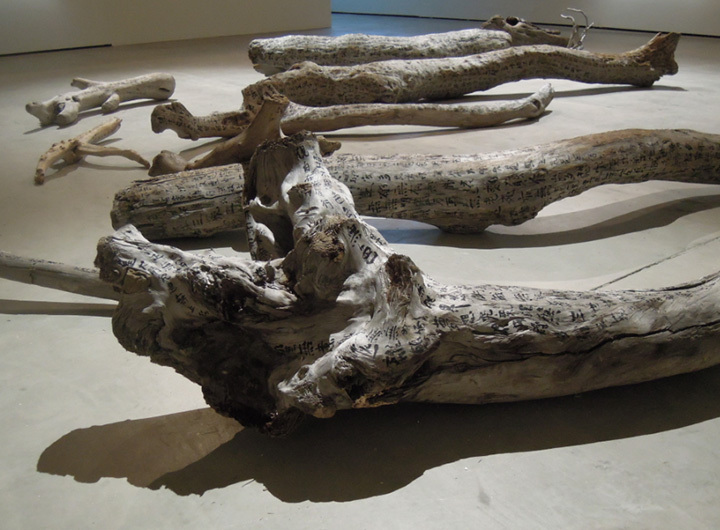 In her new works Tsai continues to place keen attention on spiritual texts, their application to organic and inorganic materials, and the meaning behind and produced by the process of inscribing such materials herself. 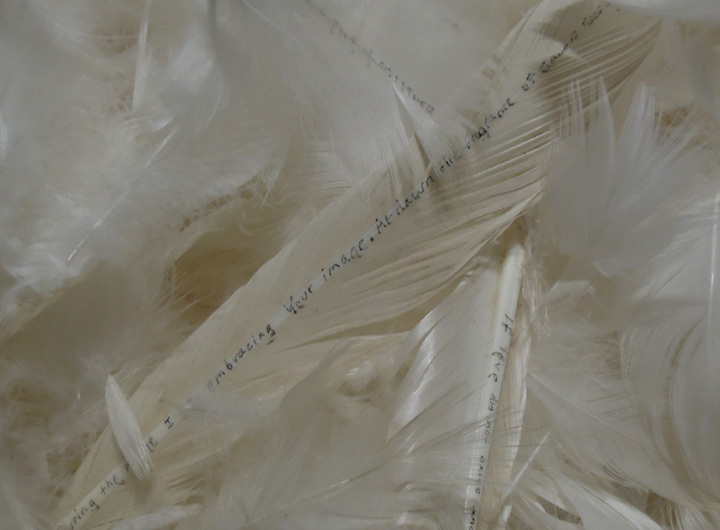 Text and metaphors of transcendence are also at play in the video and sound installation Ah! 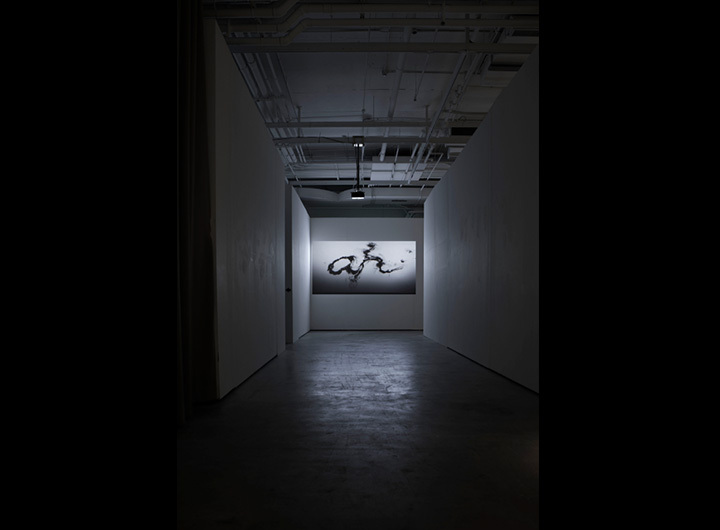 (2011), where visitors approaching the image of the dissolving ink letters are surrounded by voices repeating “ah,” a sacred sound in many religions. 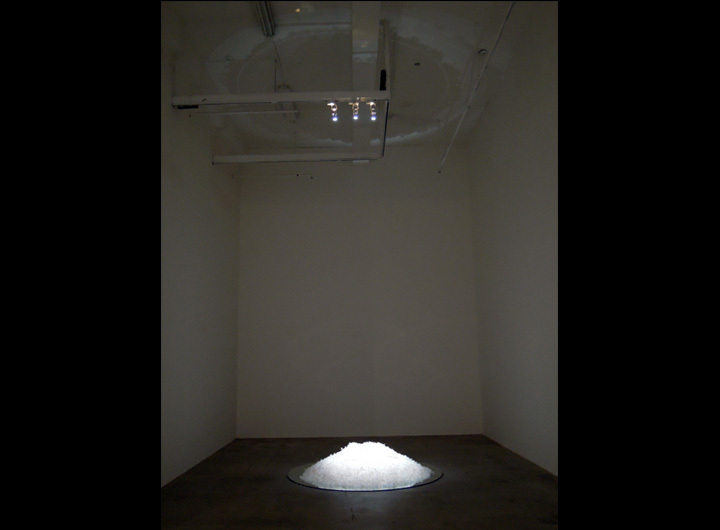 This piece transforms sound into a visual and audio vibration that highlights the environment and spirituality.